Developers have revealed plans of how Battersea Power Station will look and be laid out once it opens, and the stage is set for it to become the 'third largest retail destination in central London'. With the work scheduled to be completed by 2020, Battersea Power Station is currently undergoing a £9 billion transformation. Restaurants, retail outlets, offices and apartments have already opened in the wider development of Battersea Power Station and the surrounding area, but details have now emerged of how the retail outlets will be laid out within the power station, divided between the Turbine Hall A and B. The Battersea Power Station Development Company (BPSDC)'s Chief Executive, Simon Murphy, said: "The retail offering here will form a key part of a new London destination we are creating at Battersea Power Station". Murphy continued: "The response we have already had from businesses has been incredible and as we are handpicking every single retailer this is going to be a fantastic place for both retailers and consumers". Turbine Hall A will house more premium brands, while Turbine Hall B will entertain the contemporary brands. 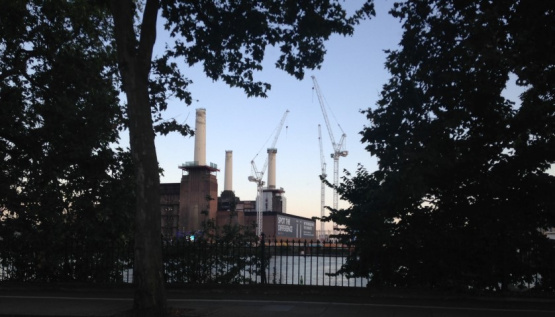 Once the project is completed, estimates hold that Battersea Power Station and its surrounding area will attract 40 million visitors every year, helped by the extension of the Northern Line to Battersea.